It's good to be Lean. We all understand the inherent problems of functional silos: they make business processes bulky, congested—the opposite of agile. But you can’t shift from function-focused processes to an integrated service delivery model without changing how you work. 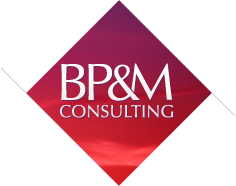 Learn more about the BP&M Lean Training and Certification Program! Lean has always made sense for government departments, where the biggest payback is efficiency. The more efficiently the federal sector can deliver its services, the greater the overall savings to the Canadian public—and the better the end service. In this era of austerity, Lean makes sense more than ever. The Lean methodology was introduced in the manufacturing sector more than 50 years ago. Lean is focused on maximizing value by improving processes in ways that empower employees to eliminate waste. Today, Lean is used in all sectors around the world. BP&M brings Lean to the Canadian federal government, helping build an integrated service delivery model that avoids silos and focuses on streaming rapid, robust value to the client. Rather than starting with a focus on functional areas, our Lean for government approach starts with the end result in mind: What services are we trying to deliver, to whom, and what is the best end result for the client? When organizations understand the client needs and they’re working together to fulfill them, the pathway to efficiency is easier to find—as are the dead-ends that derail it. We help government employees build a value stream that delivers client-centric results while eliminating waste. One of the government’s largest costs—and richest wellsprings of value—is its employees. By helping employees work with focus, economy, creativity, and collaboration, our Lean approach for government empowers departments and agencies to vastly expand the value of each employee.